Corning, one of the suppliers of Gorilla Glass found in Apple's iPhone, iPad and iPod has announced the manufacturing readiness of 3D-Shaped Gorilla Glass. Essentially, the company has developed the product and is ready to manufacturer the glass. Corning Incorporated today announced the manufacturing readiness of a novel 3D glass-forming technology to shape Corning Gorilla Glass. 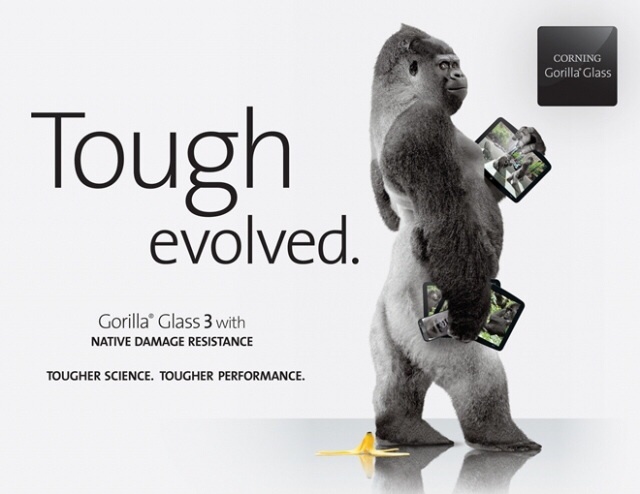 Corning is targeting commercialization of finished 3D-shaped Gorilla Glass parts in 2014 and is working with G-Tech Optoelectronics Corp. to establish a vertically integrated operation in Taiwan. Such glass could be used in an iPhone with curved display, which has been a wish. Even the rumored iWatch could make use of such curved glass, which is also rumored to be in the works at Apple.